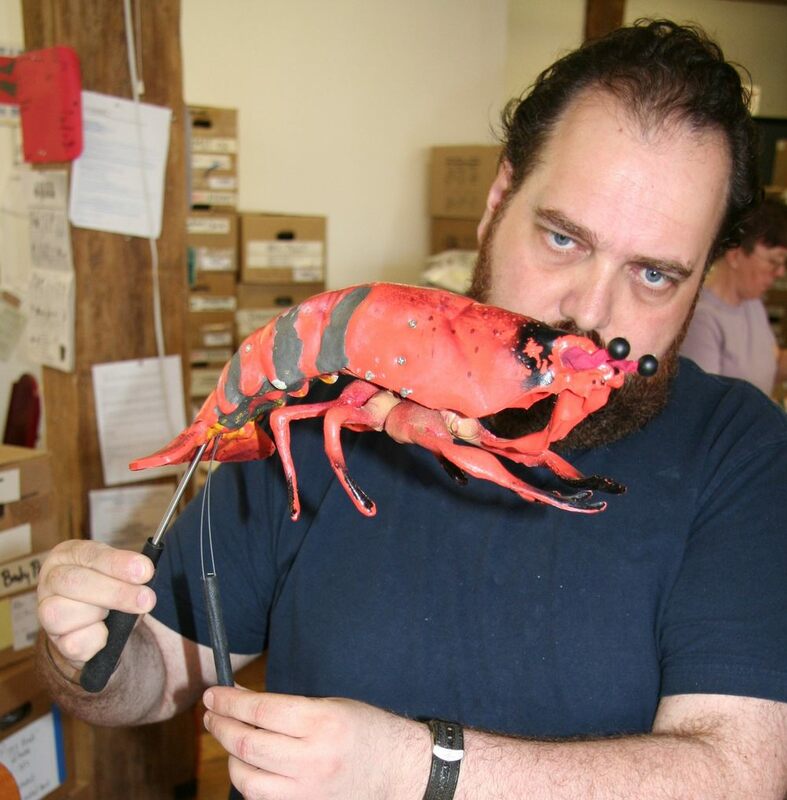 Leatherman Tools commissioned Puppet Heap to build a rodded puppet Lobster with articulated eyes, claws, and legs as part of an online commercial promotion. 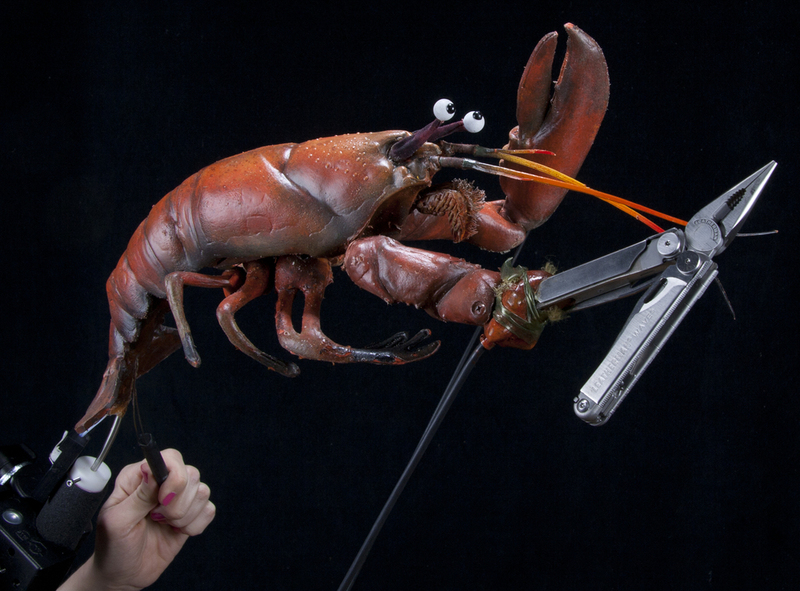 Directed by Peter Rosch with Stick and Move, it's a story about a lobster who replaces one of his claws with a Leatherman Wave tool and frees his friends from the clutches of an evil seafood restaurant. It was filmed on location with puppeteering and production assistance from Puppet Heap. 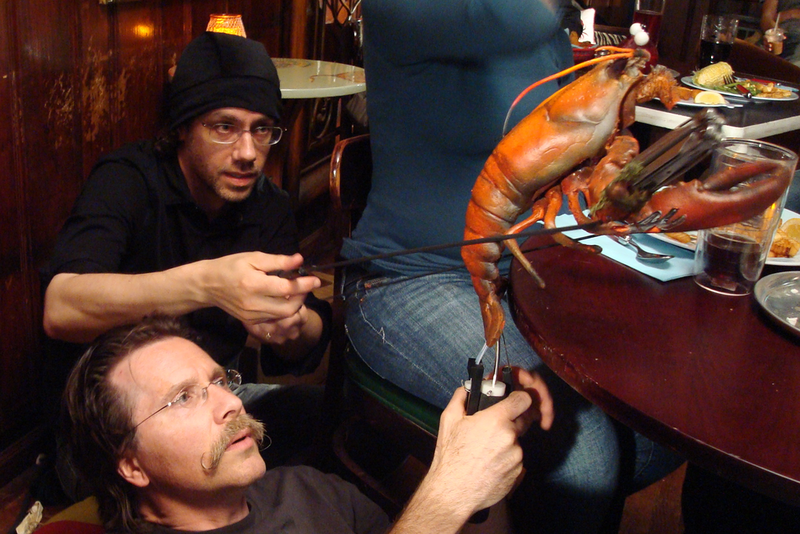 Jim Kroupa (below) and Paul Andrejco puppeteering the Bionic Lobster on location. 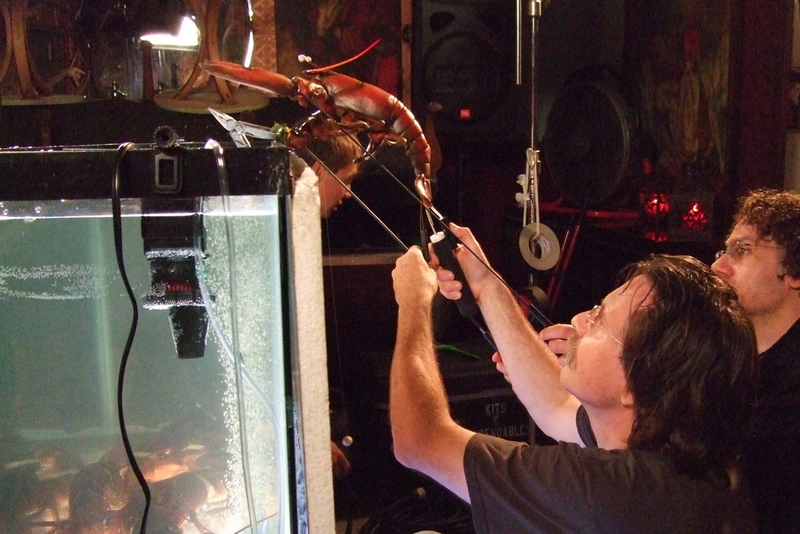 Jim Kroupa watching monitor as the Bionic Lobster meets a real lobster on set. The Bionic Lobster rescuing his friends. Jim Kroupa and Paul Andrejco consult with Director Peter Rosch for the Bionic Lobster's ride. (L to R) Jim Kroupa, Duncan Gillis, and Louay Abdulrahim with lobster puppet.